Every year, one of the most buzzed about programs at VIFF is "Must See BC" which highlights locally made projects and considering how many productions, both TV and film, call Vancouver home, the quality of these tends to be good but even by that standard, Charlotte's Song looks particularly impressive. A project tightly produced by Jessica Leigh Clark-Bojin and Lindsey Mann of Done Four Productions, screen writer Robert Woolsey and director Nicholas Humphries (of "Riese: The Series" and The Little Mermaid fame), Charlotte's Song is a dust bowl set re-imagining of Hans Christian Andersen's "The Little Mermaid." Our story begins with the untimely death of Charlotte's mother, which triggers a downward spiral for her father, five sisters and their family-run song-and-dance act. Help comes from an unlikely source when a gangster named Randall ("Misfits," "Game of Thrones" star Iwan Rheon) offers to pay off their debt in exchange for making some unsavoury changes to the family business. Matters are complicated when it is discovered that Charlotte, like her mother before her, is in fact a mermaid capable of controlling humans with her voice. 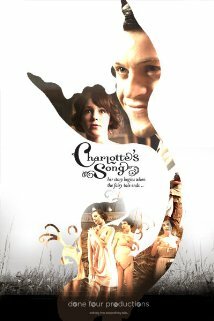 Charlotte's Song will have its world premiere at VIFF. Getting tickets to a screening might prove difficult as the first two showings have already sold out and a third is selling fast! If you want to go, don't delay! For more on this project, stay tuned for my interview with Done Four Productions partner Jessica Leigh Clark-Bojin!